Today we experience higher volume of migration compare to a decade ago. Majority of migrants are family members, direct and indirect uniting with their fathers, mothers, children, grandchildren etc.. During the immigration process in most cases you will get asked at some point to prove your biological relationship to the petitioner (person who is inviting you). Apart from birth certificates, blood tests and other proofs, DNA TEST is the most accurate and the most reliable way to prove your relationship beyond any doubt. Immigration DNA tests are legally admissible following stringent COC (chain-of-custody) process to comply with immigration requirements all over the world. Our immigration DNA tests are ISO, AABB certified and UK Ministry of Justice approved. The process of having the immigration DNA test done requires also proper identification of tested individuals and filling the forms. All this is reflected in the cost of these tests and it would be unfortunate to go through this process only to find out there is no biological relationship at all……..and all the money are spent. To avoid these expensive surprises, where you are not absolutely sure, we recommend to undergo DNA test for your knowledge only, which is the fraction of the cost of immigration DNA test, but actual analysis is identical to prove the relationship. 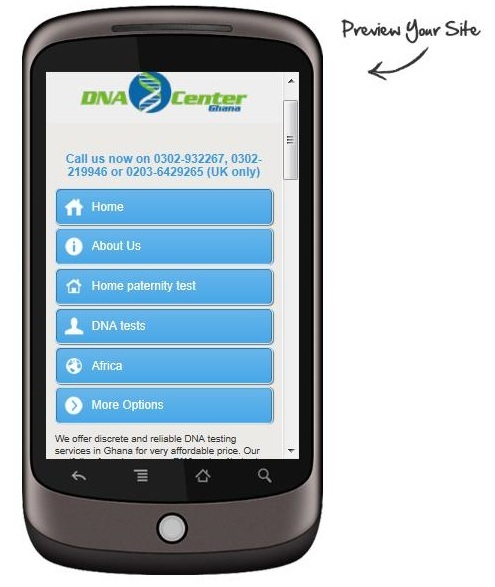 You can even collect your samples conveniently at home using HOME DNA TEST and just send them for processing to us in Accra. Once you have confirmation of your biological relationship, you can proceed to immigration DNA test with all the confidence. If you have any questions, or you require help with whole process, contact us via info@dnacenterghana.com or call 0302-219946 in Ghana or 0203-6429265 in UK.